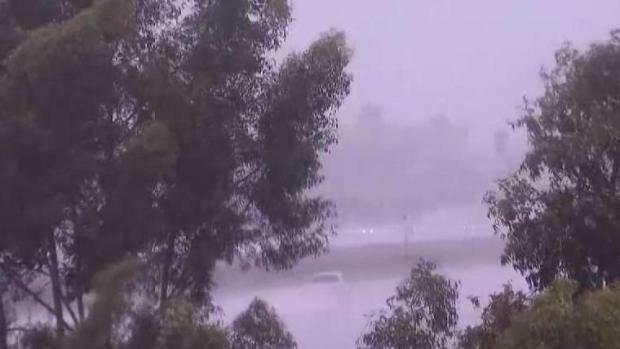 The first major storm of the fall season slammed San Diego County Thursday, bringing at times torrential downpours across the region and choppy, high surf to beaches. 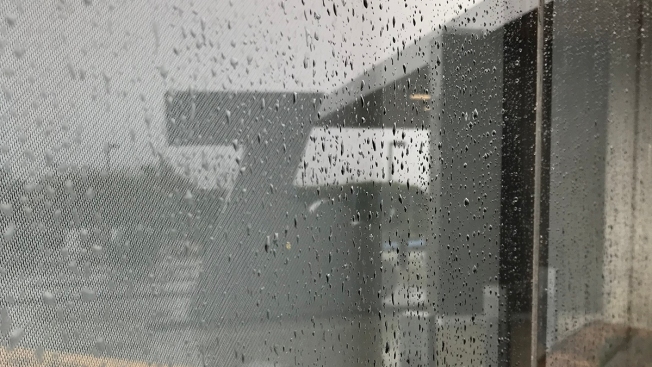 More than a quarter-inch of rain an hour was dumped on most parts of San Diego County while some areas were receiving nearly an inch of rain an hour through the afternoon hours, according to NBC 7 Meteorologist Sheena Parveen. The first wave of the storm hit from 11 a.m. to 1 p.m. and the second round of rain, not as heavy as the first, was expected to peak at around 1 or 2 a.m. Friday. The NWS flood advisory was set to expire at noon, though flooding risk remained as showers persist through the day. Some light rain began falling in North County San Diego at about 10 p.m. on Wednesday but downpours really picked up across the county early Thursday morning. The storm briefly let up before dumping rain on the county again at 10 a.m.
By that time, San Onofre had already received more than a half-inch of rain, Mt. Woodson received about .35 inches and most of Central San Diego received anywhere from .30 to .45 inches of rain, according to the NWS. More than an inch of rain had come down in mountain areas like Palomar and Birch Hill. By the end of Friday, Pine Valley and Julian were expected to get more than an inch of rain, Fallbrook and Oceanside were expected to see about a half inch, and San Diego and Chula Vista were expected to see less than a tenth of an inch, according to meteorologist Dagmar Midcap. With that much rain, flooding was possible in dry creeks and low-lying areas and roadways. At about 11 a.m., the California Highway Patrol had reports of dozens of crashes and some spinouts on San Diego roadways. While it was not clear if all the crashes were caused because of the rain, CHP said drivers should use caution and slow down. CHP reminded drivers Wednesday that, since there hasn’t been significant rainfall in San Diego in several months, the highways would be slick. The agency also advised drivers to leave early to allow plenty of time to reach their destination, check their windshield wipers and tire tread before taking off for the day, and remember to use their headlights if their windshield wipers are in use. Ocean Beach resident Martin Peace worried about the slick roads and possible car accidents. He told NBC 7 he does not enjoy driving in the rain and hoped drivers would be alert and keep distractions at a minimum behind the wheel. Local Tara Gramenz said she had walked to get her morning coffee just to avoid getting on the wet roads. “We’re on foot today – trying to stay out of accidents,” she added. On San Diego's coast, strong waves slammed beaches as the storm rolled in and continued to elevate through the afternoon. NBC 7's Audra Stafford reports on the importance of safety on the road during Thursday's storm. A high surf advisory is in effect for all of San Diego County's beaches through 10 p.m. Friday. The advisory warns of sneaker waves, sets measuring 6 to 10 feet and minor coastal flooding during the morning high tide. The County Department of Environmental Health issued water contact closures at the Tijuana Slough National Wildlife Refuge and Border Field State Park due to sewage-contaminated runoff from the Tijuana River. San Diego Fire-Rescue lifeguards shut down the Ocean Beach Pier Wednesday morning due to the high surf but it was reopened Thursday morning, during a break in the rain. Lifeguards said the pier could be closed again at a moment's notice if surf conditions worsen. Lifeguards added additional staffing and for Thursday to deal with any rescues that may be necessary due to the high surf. SDFD warned beachgoers to stay away from cliffs that can become unstable and collapse and out of the water amid dangerous waves. Their swift water rescue team was ready for any inland flooding-related rescues that may be necessary, SDFD Lifeguards said. The big surf was also quite the sight for Ocean Beach residents. Tareq Asfour said that despite warnings from lifeguards, the waves were calling to him. He was thinking about going surfing Thursday morning. 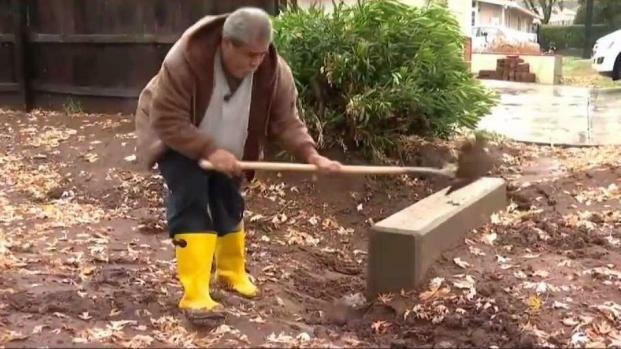 NBC 7's Brittany Ford with how residents are preparing for the rain. The coastal SeaWorld San Diego amusement park shuttered its doors Thursday because of the storm, stating that the safety of their guests and employees was their top priority. The park would reopen on Friday. 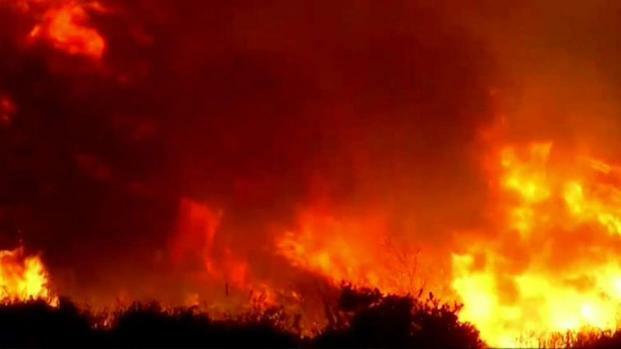 The storm could cause flash flooding in areas scarred by recent wildfires, including last December's Lilac Fire in Fallbrook and this summer's West Fire in Alpine, the NWS said. The National Weather Service has issued a flash flood watch through early Friday. San Diego County has designated free sandbag stations for residents who need to protect their property from flooding. Free bags and sand will be provided at more than two dozen locations but residents must bring their own shovels. Several bag-only locations will also be available. There's also the possibility of snow in the mountains across Southern California with more than six inches of snow forecasted for areas above 6,000 feet. Snow accumulations in the Sierra could range from 2-4 feet. 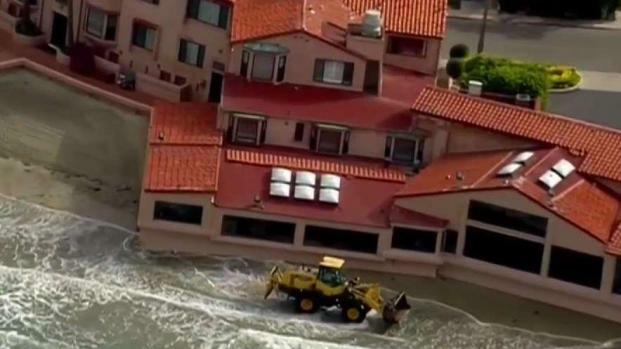 NBC 7's Megan Tevrizian reports on storm preparations being made in coastal areas countywide. During the storm, winds will average 15 to 25 miles per hour in the mountains and some gusts could reach 35 mph. The NWS has issued a wind advisory in the region for 24 hours starting at 6 a.m. Thursday. Ocean Beach resident Jorie Corush, bundled up in a coat, said she was shocked to see such heavy rainfall and strong, chilly wind in her neighborhood. “It surprised me when I came out the front door. I’m a little cold!” she told NBC 7. The storm also caused several crashes overnight, some involving semi-trucks on San Diego County freeways. Northbound lanes of Interstate 15 just south of I-8 in Mission Valley were shut down at about 3:30 a.m. Thursday after a flatbed truck crashed into the center divider and a semi-truck, in an attempt to avoid the first disabled vehicle, drove off the roadway and landed in an embankment. Less than 15 minutes later, a Fed-Ex delivery semi-truck crashed into the center divide, just feet from the stalled flatbed truck. In National City, a third semi-truck drifted off the roadway on northbound I-805 at 47th Street just after midnight. The truck remained jack-knifed until crews could pull it off the roadway. No major injuries were reported in any of the crashes but CHP said drivers should heed the warning and slow down on the freeways during Thursday's storm. "You just have to realize that when it’s raining you do need to slow down, even more so than normal," a California Highway Patrol Officer told NBC 7. NBC 7's Gaby Rodriguez spoke to a woman who lives in the Lilac Fire burn area who installed extra anti-flood infrastructure on her property. Download our free mobile apps to get push alerts when weather breaks. Find us on Snapchat! We're NBC7SanDiego.